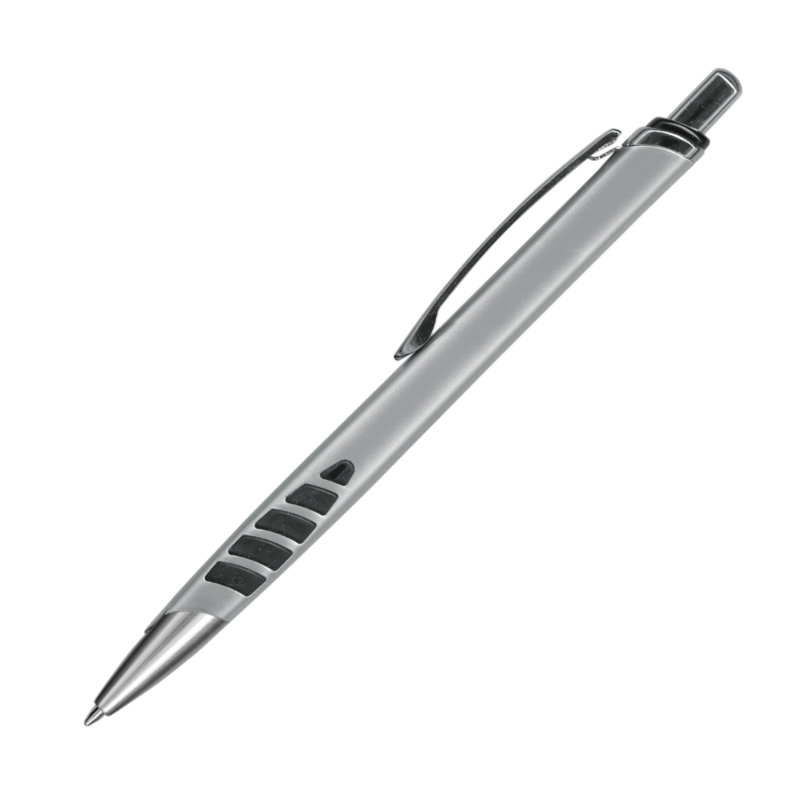 A fabulous eye-catching pen that feels great to use and looks great with printed branding. 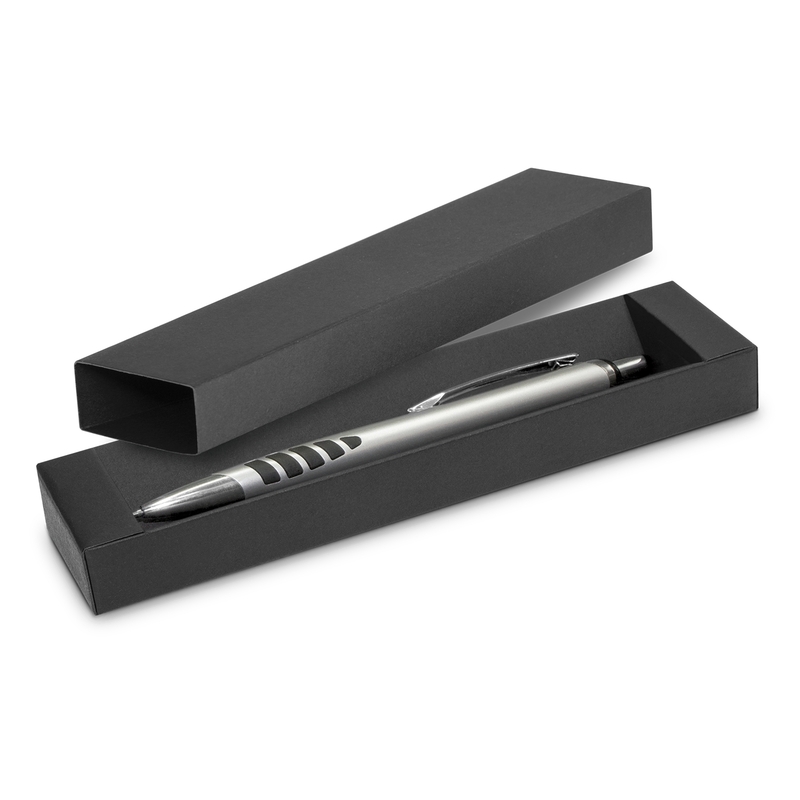 Looking for a sophisticated pen for your next event or promotion? 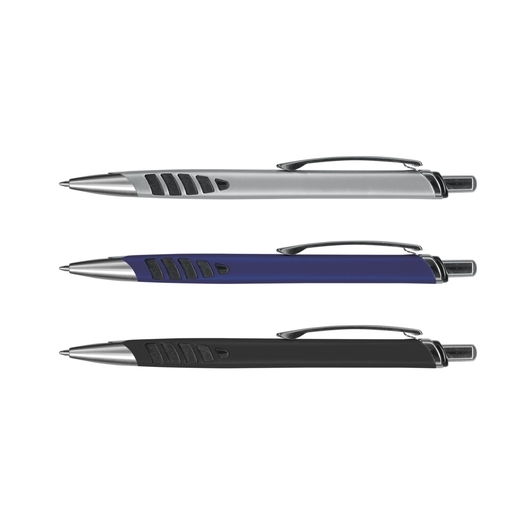 Why not enhance your brand recognition with these fabulous pens. 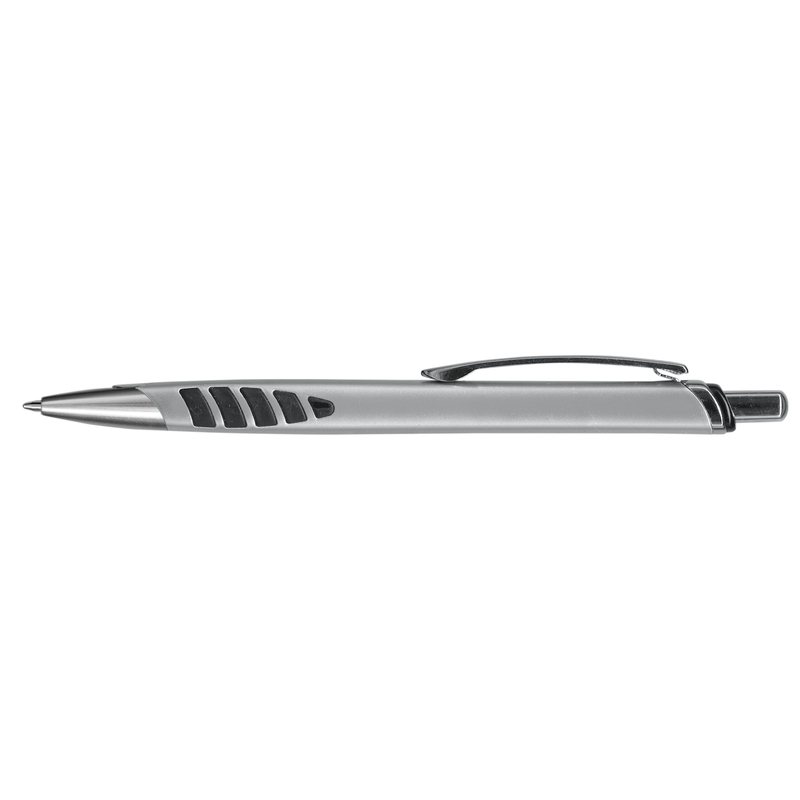 They're made from plastic and metal and feature a metallic barrel, soft rubber accents in the grip zone and a shiny chrome trim. 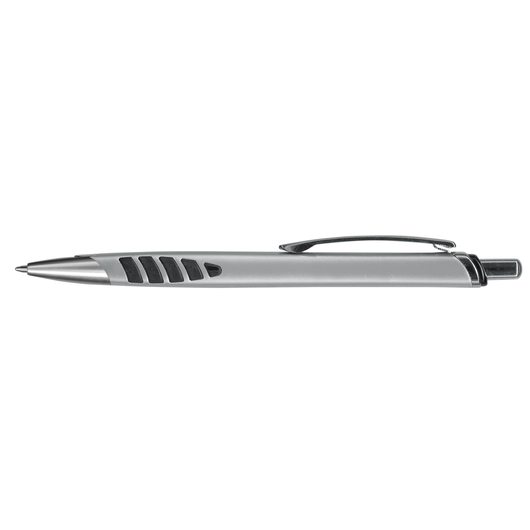 They come with a large capacity 1800m black German ink and feature a tungsten carbide ball for better writing quality. 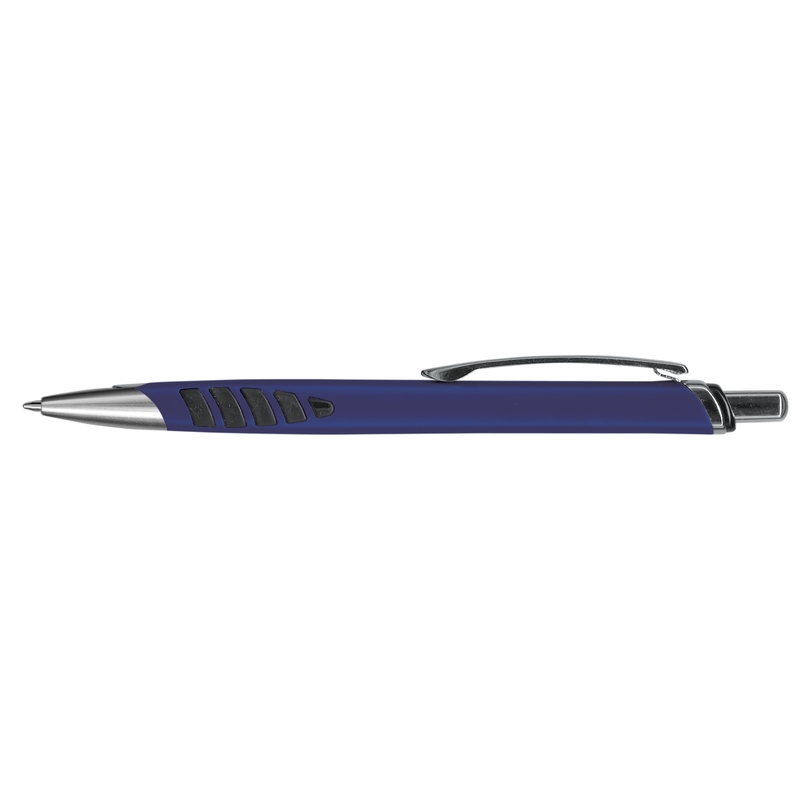 Blue ink is available for an additional cost and we can present these in an optional gift box or velvet sleeve for an additional cost.